Anonymous, 07 May 2015Whenever I try to download apps from play store it says Error "insufficient storage space... morei also have the same problem..
did you fix it already? I merge data + media storage to have more internal storage but i can only move to sd 438mb apk. (container error). I rooted it and make some tweaks.. not bad at installing application. Used foldermount for app with obb. I'm not good taking pictures so i dont care about the camera but autofocus and flash are fully functioning. And finally, over all it's good phone if you know how to do some stuff. I'm using Oppo neo 5.. i just want to ask if the housing can be changed since it cracked? I can't download an application, it will say space is not enough but I have a 16 gb memory card. How to fix it. Pls. Help its been a month now. That I cant even download an app. AnonD-411945, 30 Jun 2015Okay it started like this. So my cellphone battery was at 2% and when I noticed it, I tried to... moreI have the same case, how were you able to resolve the issue.? Please respond. Okay it started like this. So my cellphone battery was at 2% and when I noticed it, I tried to find my charger. As soon as I found my charger, my phone turned off. (Of course, because it's already in 2% and I found my charger 1234567 years kidding!) And then when I tried to connect it to the charger, it charged. But after several hours (cause I fell asleep and woke up 4 hours later), my phone's not working. I mean, you can open it but it's stuck at the oppo logo (the logo is shining and the sound when it opens, plays). I tried opening it again but still the same thing happens. What should I do? PLEASE I REALLY NEED HELP. how should i exit in Recovery Mode in Oppo Neo 5 ? it is rooted already. :( help!!!! 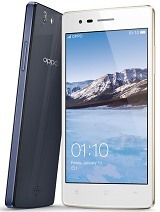 is oppo neo a android phone ? Im using oppo neo 3 ! thier screen is not strong ! its always malfunctioned! now i need to visit thier service center again ! Hi im suing my new oppo neo 3.I have music on my sdcard but i cant see it. pls help thanks.